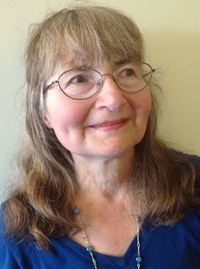 Tuesday evening I taught a workshop on Developing Character and Dialogue in Fiction at the Runnymede Public library branch in Toronto. We covered what I’ve been blogging about the past few weeks and a bit more. I used excerpts from my mystery short story collection, Beyond the Tripping Point, to illustrate some points – which I’ve been doing here. There was one big difference – I had the proof copy of my book in my hands. This is very exciting and I’m putting the book cover up at the top of this post. 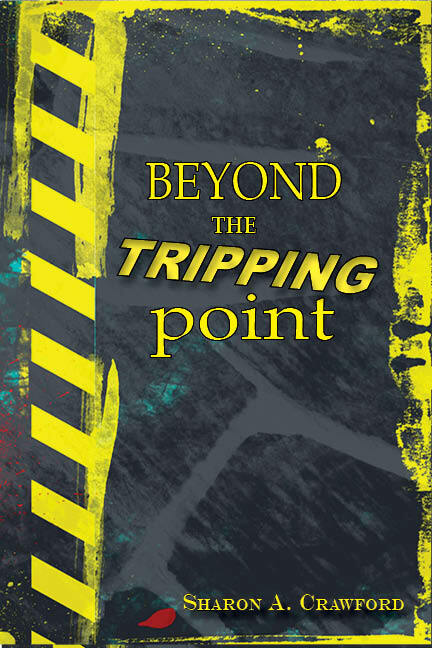 You can find out more about Beyond the Tripping Point at my publisher’s website www.bluedenimpress.com. Okay, back to the workshop. One thing I really like about these workshops is the sharing and the learning. I always learn something. A student amazed me with his beginning of a story about a teenager starting the first day at high school. The student was a girl and that means he wrote it from a female perspective and did so very well. We will be covering this aspect and others for Point of View in writing fiction in future posts. This story was one of three scenarios suggested to write the beginning of a story (novel or short story) focusing on bringing out the characters. The first time round they wrote using everything but dialogue, i.e., character actions, thoughts and working in what they see going on around them. After we talked about dialogue, they went back to their story and added some dialogue. It was interesting to see that most of them chose the student starting high school scenario. a) A teenage girl’s first day attending high school. b) A former bully returns to her high school reunion. She is 40ish and a psychiatrist. c) A man sits in court waiting for the verdict to a criminal charge for a crime he did not commit. All of them conjure up various ideas. For a) the participants in this workshop had somewhat shy students. I don’t want to reveal their plots because they may want to develop them into their own stories. However, some ways to show the character as shy would be to have her hang back from the others, maybe get sick to her stomach before she leaves home, get lost trying to find her first class. And what would be really different is if the student was a guy. Usually guys would be more brash but what about making the fellow shy. How would he react? Would he get bullied? What story lines can you come up with? For b) you would be taking the other side of the fence – the bully returning to her alma mater, especially when she (or it could be a he) is now a psychiatrist. How would the ex-bully feel about even going to the reunion? Would he or she go alone or insist a spouse or best friend come along for moral support? Maybe the ex-bully hasn’t told friends or spouse about his or her checkered background. How does being a psychiatrist influence? What happens as the ex-bully walks in the school front door, the auditorium? Especially when he or she spots one or more former classmates that were bullied? The scenarios are endless here. For c), which a couple of students tackled, you might go inside the accused’s head as he waits for the jury to return? How does the accused feel? Remember this accused did not commit the crime. How are the others in the courtroom behaving – his lawyer, the prosecutor, etc.? What is the courtroom like in relation to how it makes the accused feel? Has the accused locked his thoughts onto one juror and watches Juror No. whatever to see what this juror’s face shows. And when the jury returns and the foreperson is delivering the verdict, how does the accused feel as the foreperson speaks? And after? If found guilty? If found not guilty? Again, the scenarios are endless. Try writing the beginning of a short story for all suggested scenarios and see what you come up with. Pay attention to developing your character and use dialogue. You never know; you might have the beginning of a good story.